1. In a medium-sized fry pan on medium heat, add 1 tablespoon avocado oil and cauliflower rice. Stir until cooked through, about 6 minutes. 2. Add the coconut cream and mix to incorporate. 3. Plate the coconut rice and put the pan back on the stove. 4. Add 1 tablespoon avocado oil, harissa seasoning and chickpeas to the pan on medium heat. Stir fry chickpeas for 5 minutes until heated through and crispy. 5. Plate chickpeas on top of cauliflower rice and return pan to the stove. 6. Add kale to the pan and stir to coat in remaining seasoning and oil. 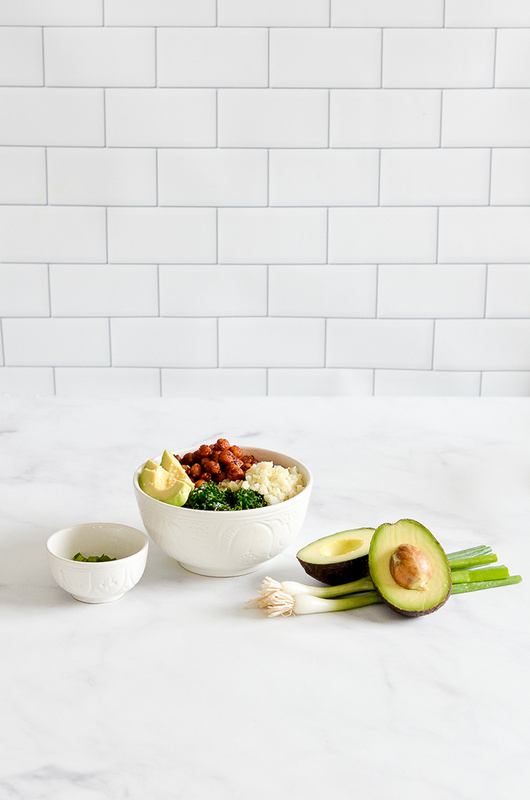 Wilt for 2 minutes and plate with cauliflower rice, beans and sliced avocado. Sprinkle chopped green onion for final garnish. Enjoy! 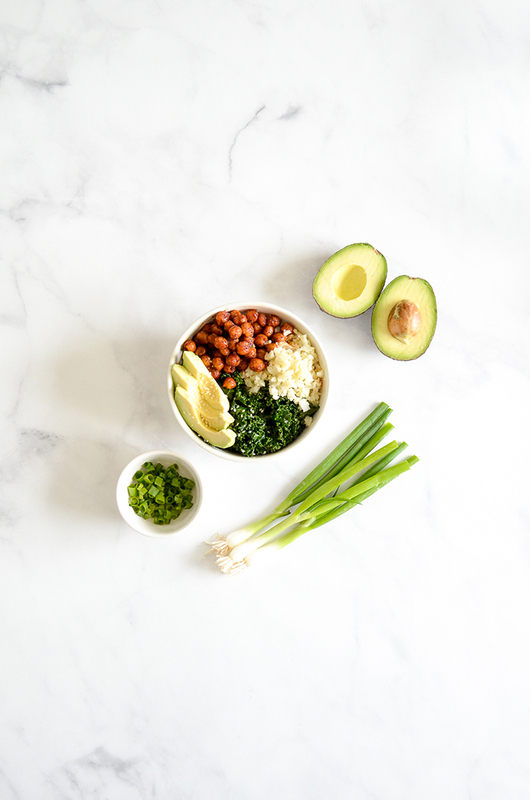 It’s hard to believe you can make such a beautiful and delicious meal in just a few easy steps! Thanks again to our friend Kelly LeVeque for always introducing us to our favorite recipes. 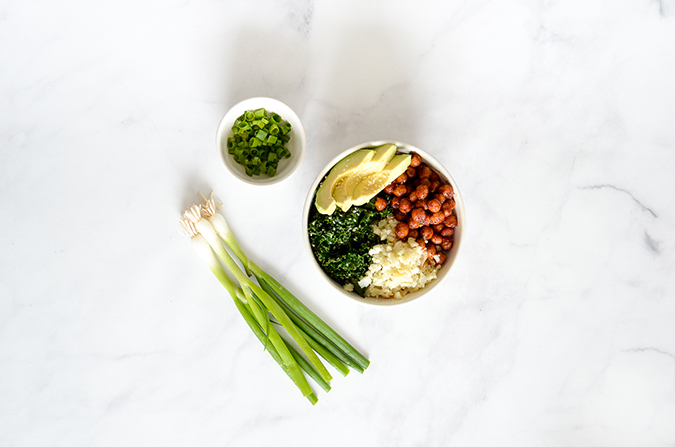 Will you be whipping up your own harissa chickpea bowl? Let us know if you do in the comments!